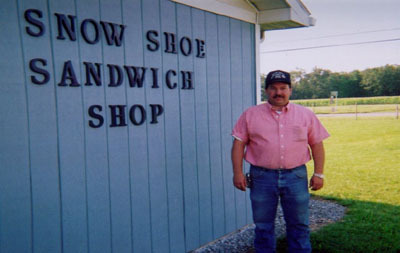 Ray Rees is the proprietor of the Snow Shoe Sandwich Shop. It is located off I-80 at the Snow Shoe Exit, directly on the left beside the exit and Route 144. The sandwich shop has been a corporate sponsor for 4 years and Ray is an avid supporter of the trail. Stop in for some good eats and drinks after a day on the trail!